The temple's trustees and Dilip Mase personally visited Rajasthan’s mines to pick the sandstone for the temple. 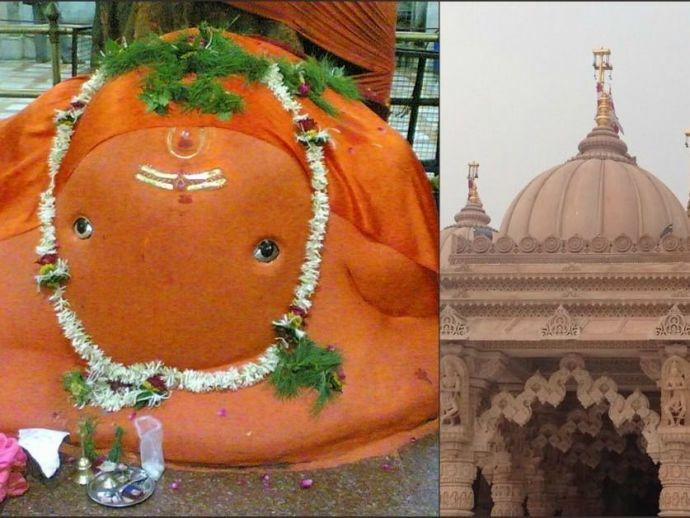 Nagpur’s crown jewel of a temple, the famous Tekdi Ganesh Temple is all set to be ready, as per the statement issued by the trustees who are managing the temple. The renovation work is currently at its peak. Engineers and contractors working on the new structure also affirm the statement of the temple management authorities. The new structure of the temple is inspired by the ones built by the Swami Narayan Trust. Earlier, the members of the temple had assured the Nagpur bench of Bombay High Court that the temple will be ready by December 2019, but now they have revived the timeline and said it will be ready much before the earlier assured date of completion. While speaking to the TOI, structural engineer Dilip Mase said, “The design of new temple has been recently finalized and old one is already demolished. Artists are being brought from Pinwada in Gujarat, who’re world famous for carvings on such stones. The total cost of entire work is about Rs10 crore and would be more than double size of the old temple.” Mase has been working on this project ever since it kicked off for no remuneration of any sorts. In the year 1975, Dilip’s father PT Mase was one of the structural engineers from Central India who worked on the first design of the temple. The temples trustees, Mase and others personally visited Rajasthan’s Bayana Paharpur mines and picked the sandstone needed for the new construction. 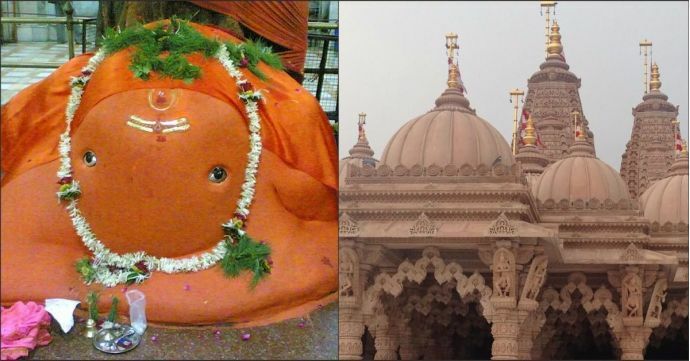 The same sandstone is said to be used in world’s biggest temple in Robbinsville in New Jersey and the propositioned Ram Mandir in Ayodhya. “We’re using all latest technology for building this project. ‘Sheer wall’ concept is being used for its construction that don’t require any brickwork or plaster. Moreover, top grade cement (M-45) is being used for its construction. Same technique is being used for construction of metro rail stations. We’re expecting that temple would last at least 250 years,” said Mase, calling this his dream project. The temple will be equipped with facilities such as fire extinguishers, rainwater harvesting and solar panels. “A hall for Bhajan and other activities would be built by shifting existing Mahalaxmi Idol in the new temple, which will be bigger than existing one. The main idol would have a gold throne of about 51 kgs. The metal is collected by us over the years. Of course, we would be advising the national level tenders for it and the artists would be making it on the temple premises itself,” Kulkarni said. The secretary further added that they had approached the Defence Ministry for an additional piece of land and that it was agreed upon. But some more land of the equal size is needed of their activities. “For this we’ve written to the state government and finance minister Sudhir Mungantiwar is actively helping us in this regard,” he said.